Since Apple Company released the latest iOS 12 beta, lots of users choose to update their iOS system and experience the new features of iOS 12. However, when update iOS 12/11 you might meet with various situations including stuck in recovery mode, stuck in DFU mode, frozen during update, etc. This article will list the top 3 solutions to fix iPhone freezes up during/after iOS 12/11.4/11.3/11.2/11.1/11.0.3 update. During the update, if you find your iPhone/iPad/iPod stuck and for a long time your iOS device has no change. You then can choose to restart your iPhone, for conventional case you can press Power button to turn your iOS device off. But in this case, you are required to force restart your iOS device. Click to learn more about rebooting an iOS 12/11 iPhone/iPad. On an iPhone 7 or iPhone 8: Press and hold both the Sleep/Wake and Volume Down buttons for at least ten seconds, until you see the Apple logo. If you cannot manually fix this kind of update stuck, a recovery mode restore may be able to fix iOS 11 and iOS 12 update freezing issue on iPhone X/8/8 Plus/7/7 Plus/SE/6s/6/5s/5. 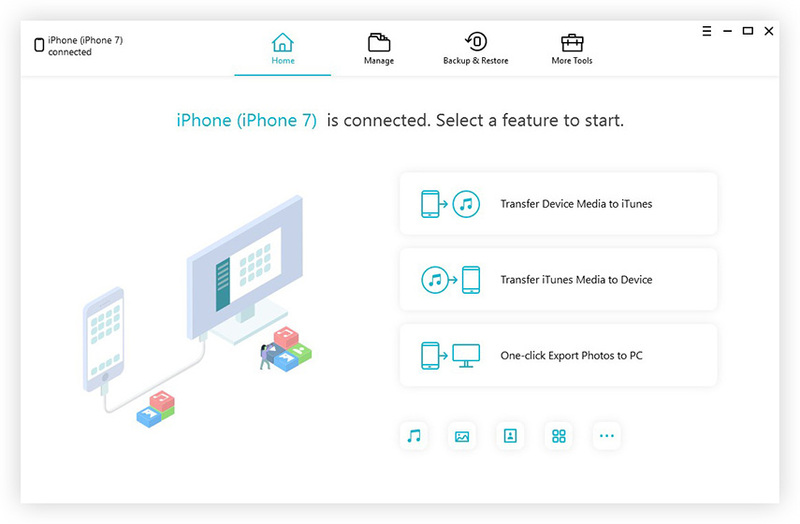 Here we recommend you have a try by using Tenorshare ReiBoot, a freeware which can get your iOS device in and out of recovery mode and simply repair the update frozen. Run Tenorshare ReiBoot on computer and connect your iPhone/iPad/iPod with PC/Mac, click "Enter Recovery Mode", after you see iTunes can USB icons appear on the screen of your iOS device, click "Exit Recovery Mode". 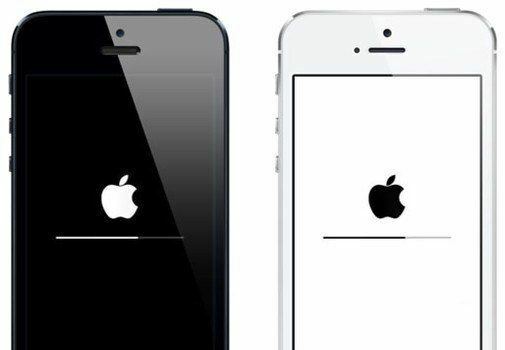 Your iPhone/iPad/iPod will automatically restart and you will find your iOS device turn back to normal. You can connect to iTunes to restore your frozen iPhone/iPad after entering recovery mode, but you&rsquo;ll loss all data on your device. Solution 3: Repair Operating System to Fix iPhone Frozen on Apple Logo after iOS 11/12 Update. After trying the above two steps, if your iPhone/iPad/iPod still frozen in iOS 12 and iOS 11 update screen. We then suggest you to consider whether there is anything wrong with the operating system. Launch Tenorshare ReiBoot and choose "Fix All iOS Stuck" and this program will automatically detect the performance of your iOS 11/12 iOS device. Following the specific instructions to download the newest iOS firmware package by default. Or you can import iOS IPSW file by yourself. Then wait for the operating system process done, your iOS 11 and iOS 12 iPhone/iPad/iPod will restart and become normal. That's all about how to fix iOS 11/12 update brick during the update process for iPhone/iPad/iPod. Situations like iPhone frozen on apple logo after iOS 11/12 update can also use the above method to solve.